During Easter holliday's we went to 's Hertogenbosch (Netherlands) to visit the exposition of Jheronimus Bosch. As we were there, we also visited the St. Jan Cathedral, and got a tour on top of it. 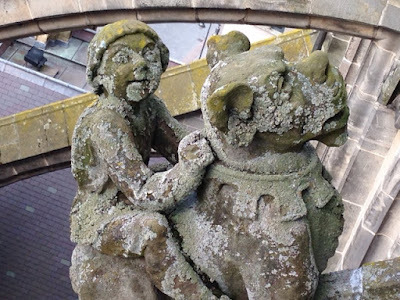 From above, you can see the many sculptures that are on the bows above, to support the Cathedral. 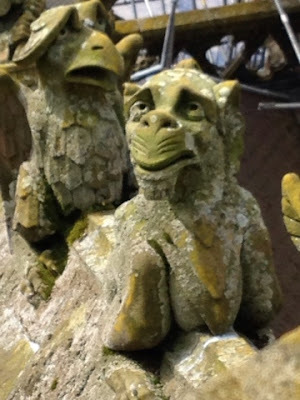 There are about 100 sculptures and they are all very beautiful, and all different. Many of them are probably designed by J. Bosch also. I was working on a zentangle of such a sculpture in my sketchbook when I saw the Diva Challenge of this week (#262) , to use the pattern Fassett. It's such a nice pattern, and I used it in the sleaves of the boy. I put it next to Five which I used in the rest of the boy' s shirt. Here I post my result and also some pictures of the nice sculptures you can see on the Cathedral. These Bosch sculptures are amazing. 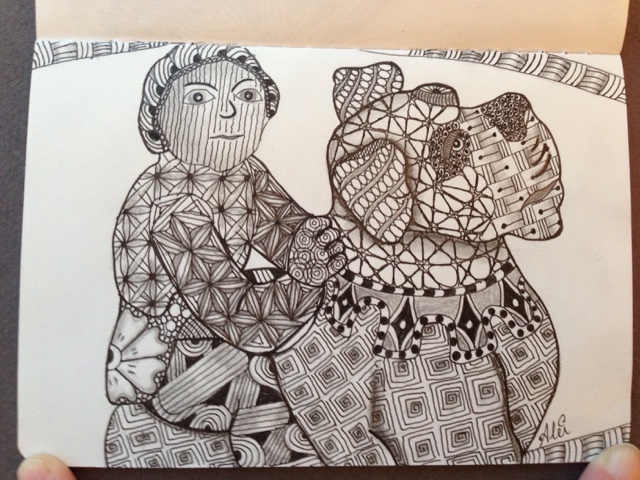 Love the boy and dog Zentangle-inspired version. Your tangles express the curves and forms, not just fill them. Lovely. 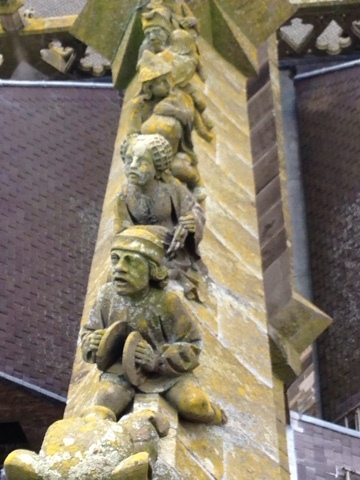 Wat een mooi idee om zo'n beeld te tekenen en er tangles in aan te brengen. Ja, de St. Jan is mooi!